Summertime is rapidly slipping away. I start back to work in 12 days. In 17 days it is Meet the Teacher Night and the students start back to school two days after that. I feel unprepared on so many levels. 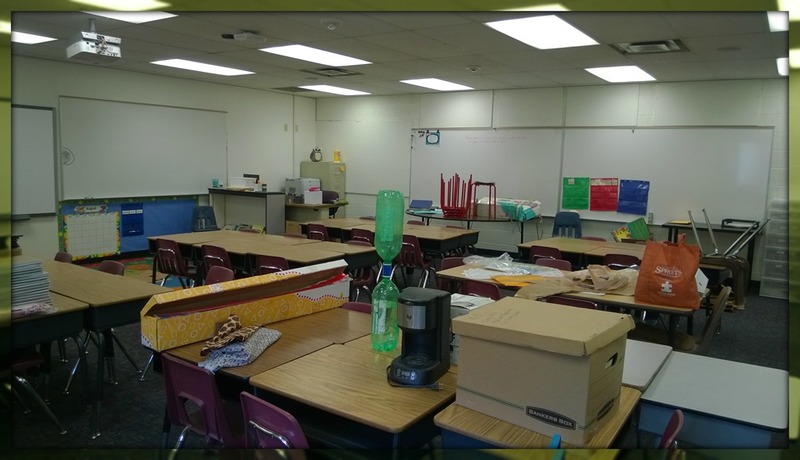 Due to having to move rooms at the very end of last year, most of my classroom is in a state of disarray. Boxes are opened, some partially unpacked. 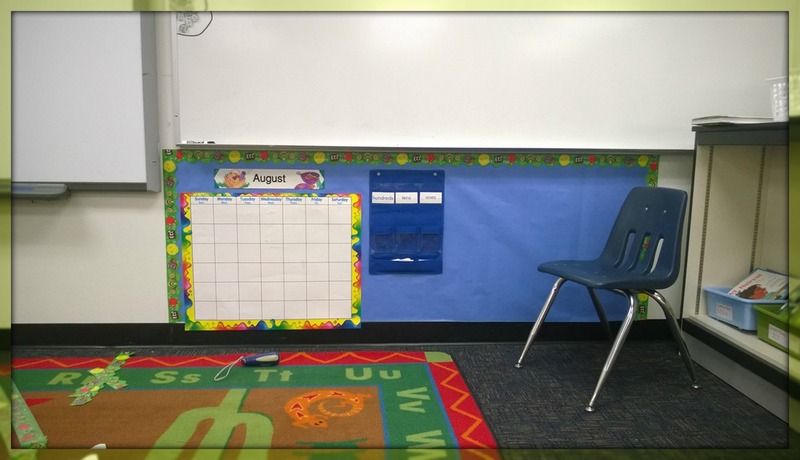 I have arranged and rearranged the classroom furniture several times. I am still not completely content with the layout. I have spend countless hour organizing and sorting and plotting and planning. Some of the time at home, some in the classroom (where the a/c is on the fritz – one day it blew heat and would not stop, another day simply nothing at all). On the positive side… I have my name and a cute orange cutout of the sun taped to the window welcoming all who enter. Cody and Carter helped me organize the classroom library, a task I never got to complete last year. For those of you who may care, each books has a label F1, F2, F3 and so on, where F stands for fiction. They are alphabetized by author’s last name, so you would find the A’s and B’s in the bins F1, F2 and maybe F3 depending on how many books fall into this category. The label is color coordinated and matches the label on the corresponding basket. I think this will enable the students to keep our library organized and neat. Oh, and there is one bulletin board up. There is much, much more work to be done. Boxes, boxes, and more boxes. They never end. We still have a large storage unit full of stuff. I have decided we have too much stuff. And we need more stuff. We have never had a bedroom large enough for a bedroom set and as such we do not have bedroom furniture. Really, we don’t (unless you count a white plastic-ish dresser given to me by some random guy who lived upstairs from me during my first year of college in 1995 (it was hideous then and it continues to be hideous now – but is was free and for the most part it is functional.)) So we really would like to buy a nice bedroom set and ditch the dresser. The little things of homeownership – broken sprinkler heads, drip systems that do not drip or drip too much, ants, a bathtub that does not hold water, a lack of lighting in the dining room. All these things are totally fixable but they take time (and money). On the positive side… We continue to love our neighborhood. We take the dogs for walks, we chat with neighbors. 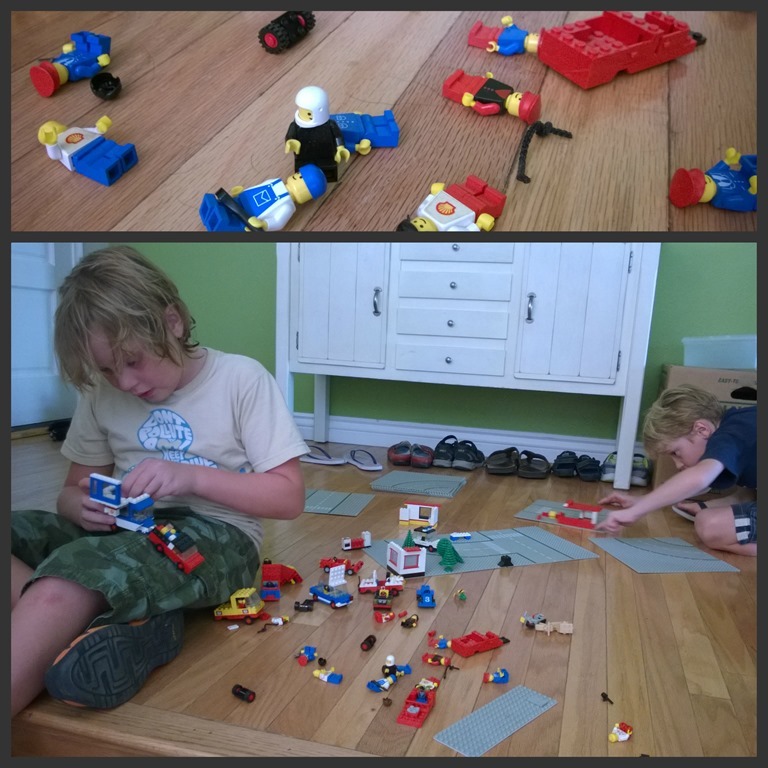 We unearthed Husband’s box of Legos dating back to the time when there were no kits and kids simply built using their imagination. 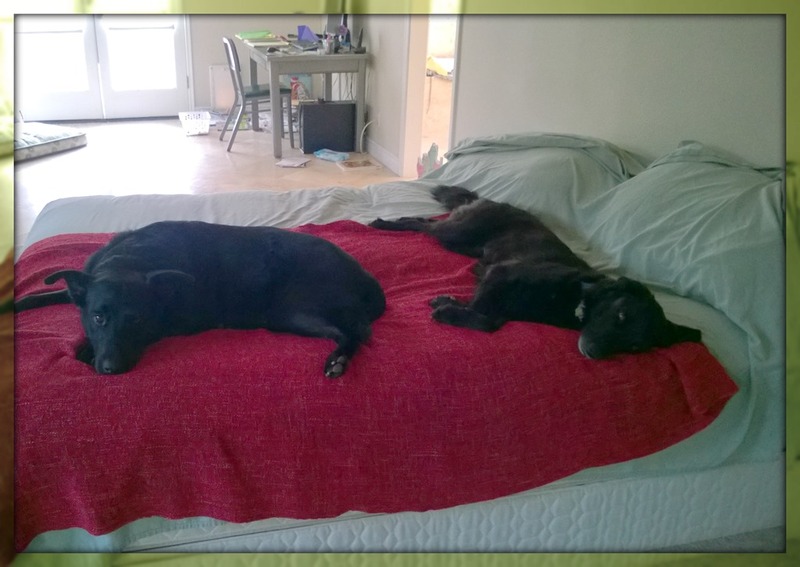 And our dogs are mostly at peace with the fact that they share a home. We are taking a family trip to Washington to spend some time with my mom before the summer completely slips through our fingers. I should be packed seeing as we leave soon, but I have yet to locate one of the suitcases we need. I am excited to see my mom and revisit my childhood home and town but I am struggling with the letting go of all that needs to be done and the fact that I can’t do any of it while I am away. In essences I need to figure out a way to “turn it off” so I can simply enjoy the vacation and my family. On the positive side… We have worked it so we leave as a family but return with only one boy. Then my mom flies down with that boy, stays a couple days, and then goes back to Washington with the other boy. The other boy flies back solo. This is awesome (and a bit stressful for me as we have never done this before) in that each kiddo gets individual Grandma time and individual time with Husband and I. So currently I am feeling very overwhelmed. I should be packing, or unpacking, or hanging a bulletin board, or trimming bushes in the backyard, or something instead of writing. But I like writing and at this point I think my “fight or flight” response has taken over. Writing is the “flight” I need to get up above it all and see it for what it simply is – a small moment in time that is manageable, will pass, and will be just fine. This entry was posted in Being a Teacher, Random Thoughts and tagged Children, Classroom Library, Dogs, Family, Kids, Legos, Life, Pets, Second Grade, Summer, Teaching, Travel. Bookmark the permalink. Love that last line. Writing helps so much when you feel overwhelmed! I’m so inspired of you seeing the good in everything! 🙂 Enjoy your trip! Thank you! I try to look for the good in things, especially the times/places where the good is not easily apparent. Thanks for you comment!